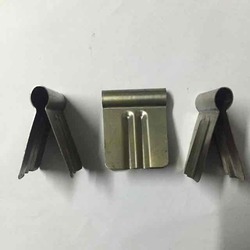 Leading Manufacturer of spring clamp, pad spring ss or ms and spring steel strip forming from New Delhi. 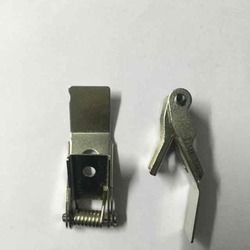 Spring clamp for various products like downlight etc. We are into supplying Spring Clamps, which are generally made from a strip of Spring Steel. Our Spring Clamps are ideal if there is requirement for fast and easy application to the work piece. High grade hardened spring steel is used in their manufacturing thus it is finding applications such as Automotive engine bays, PC water cooling and securing barb connections. Provides various applications where implementation of simple clamps are not possible. 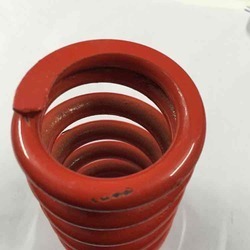 Being one of the trusted organizations in the market, we are affianced in providing a wide range of Pad Spring SS or MS.
As an eminent manufacturer, exporter, importer, and supplier, we are instrumental in offering an excellent quality range of Spring Steel Strip Forming. The offered steel strips are competently designed by experts who utilize best quality of stainless steel along with newest technology. Additionally, our customers can take these steel strips from us in diverse range of dimensions at reasonable rates.